At the start of this year a dear friend of ours shared a clear word that she felt God wanted to encourage us with… ‘onwards and upwards’! There were several applications to this word but she suggested we go to a high place in Munich and pray for the city and seek God for his heart for the communities spread out below us. There is something amazing about gaining a little bit of a higher perspective for the place where you spend most of your daily routine. I guess you get out away from the distractions and see that you are part of something bigger, and begin to feel God’s heart for your community. And so with our wonderful friends Andi & Annika we climbed to the top of Olympia Berg in the Bavarian spring sunshine, and sought God for Munich. Following our first high altitude prayer we have selected several other highspots in the city and will continue to pray from these places over the coming months. Please do join us in praying for this great city. There are so many people here who are spiritually hungry, yet seem lost and without direction or purpose. We know that it is only through prayer that people truly turn to God, and that prayer is a critical ingredient in the transformation of cities, nations and continents. I recently read that the wave of prayer that preceded the Indonesian revival of 1999 was mainly conducted on top of office blocks because they were forbidden from constructing church buildings. Thousands of Christians changing their nation by praying on their knees (high above the people below them!) How amazing it would be to see the hand of God moving all over Munich and beyond, changing lives and communities, because there are people joining together in prayer! The rusty hinge of human history turns out to be the bended knee. As I ride around Munich for my work I get to enjoy the architecture, landscape and art. 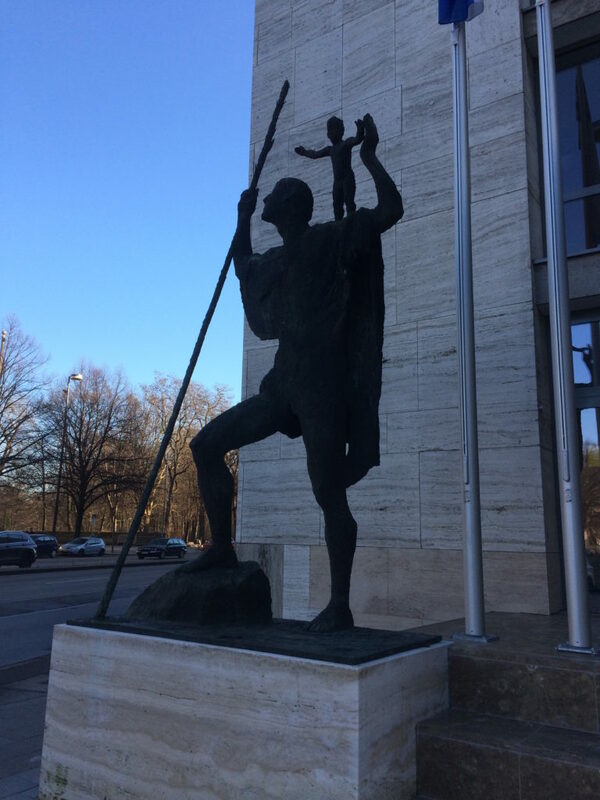 Probably my favourite piece is this sculpture on the corner of Prinzregentenstraße and Seitzstraße, across the road from Haus der Kunst and the Englischer Garten surfers. I always see myself as the small child standing on the shoulder of the man who appears to be a traveller or a shepherd. Sometimes I reflect that it is on the caring shoulder of Jesus that I stand, and it reminds me that he walks the journey with us, that he is our strength and protection, and gives us a grand view of the adventure, like a father taking a small child on a hike. But more often I think of the saying, ‘Standing on the shoulders of giants’ and that, even though my Christian walk and mission is one that is very much in its infancy, I have the privilege of a high perspective and millennia of experience because of all those that have walked the path before me. I think first of my parents, grandparents and great grandparents – of their own lives of service to Christ and of the prayers said for us each day. Then I think of those who have known me and pastored me and loved me at different stages and in different places – of the inspiring examples set and of the passionate care they have expressed. Then I think of contemporary heroes of the Christian faith whose stories I can relate to yet who were trailblazers for Christian mission in these crazy and confusing decades and centuries that we live in. Sometimes as I ride around I can feel that the work we are attempting is so insignificant, and sometimes it feels so futile. Yet I know that I can fix my eyes on Christ and keep running this race, knowing that I am standing on the shoulders of countless giants who have paved the way for us to be where we are today and that there comes another generation that will stand maybe a little higher also because of the work that we, by the grace of God, will have accomplished. Guest Post – Vicky Mennear: In October 2005 we visited a church in Solihull that were advertising for a new youth worker. On the interview panel were Steve & Vicky Mennear. 13 years later and they are unique amongst our dearest friends, and we were very happy to welcome them to visit us early this month and Vicky has kindly given us some reflections to post…. Octoberfest – timing could not have been better! 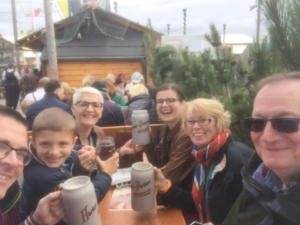 We were visiting Rada, Nathan, Anya and Aleksa while Müncheners and tourists were enjoying the annual festival – Beer tents, dirndl and lederhosen, brass bands, family fun and of course beer! Putting down roots and establishing a corner of the Kingdom of God in another nation other than your birth country is a challenging enterprise. This is what our very dear friends are about. I am enormously proud of them. Proud of their courage because I know I wouldn’t do it and of their dependence on their Father in Heaven. An expression of humility, of incarnation, of service, of honouring our hosts. Munich is a beautiful and captivating city, full of wide vistas and grand public buildings lying on the edge of an ancient forest. It has a dark past. Steve and I enjoyed getting to know it, finding our way around, trying to understand what makes this place tick. Müncheners love their children. Much of the suburban space is child friendly and there are places to play scattered between apartment blocks. Cycling for adults and children is the most popular way of getting around. 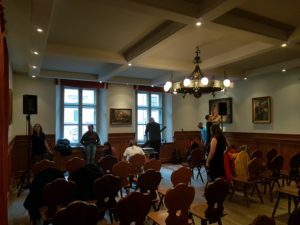 Worshipping in German, visiting a German Church quickly made me aware of the difficulties of crossing cultures. Then thinking how we overcome this in our home setting? God is at work here. God comes where he is wanted (Philip Yancey). A seed is planted in the ground and what appears in due time does not resemble the seed but is something completely different. Something completely different will grow here in due time and it will produce many seeds. If I had my way Nathan and Rada would be living next door to me and my family but God has a bigger purpose. As much as we miss them, I think I might be the one who has to adjust my thinking and get on board with a bigger purpose! The term ‘ex-pat’ has always conjured up negative feelings for me. I have stereotypes of over-tanned pensioners, guffawing young professionals and insular social circles, not forgetting old empirical connotations and notions of superiority. At the end of the day what we Brits describe as ex-pats are surely as much immigrants as someone fleeing to a new country for safety or better economic prospects. Maybe it just isn’t fashionable to be described as an immigrant? You feel unwelcome. When things go against you in terms of housing, schooling and jobs you begin to feel like you are implicitly not welcome in the city. It is a logical sub-conscious feeling – ‘there is no space in this city for my family to live, get educated, work…therefore the city does not want us here.’ You overcome this little by little but it can weigh heavy at times. Those that make the extra effort to welcome you are extremely precious people. Everything is more expensive! This is because you don’t understand how things work. At the extreme end I nearly ended up with a €5,000 health insurance bill because I hadn’t realised I’d taken two policies out when we arrived! I have also picked up a few fines with cycling and driving that I would have avoided in the UK. You don’t have the time, knowledge (or sometimes energy) to make the most savvy consumer decisions. People treat you differently and can take advantage. I would advise anybody moving to a new place to add about 20% onto your budgeted outgoings in the first year. You are overlooked for opportunities. Through reduced communication ability you miss opportunities. Sometimes this is because you miss the soft signs that native people take for granted, sometimes this is because people just can’t be bothered to take the effort to communicate with you. Personally I found being missed out of communication can make working life less fulfilling. It also feels very sad when it is your children who miss out on opportunities, or are even be blamed for not doing something that we had no idea they were meant to have done! You have fresh perspective. You get to see and experience a city and country with completely fresh eyes. Like the new kid in a company, although you might not know and understand the history of the place, you can see things that people who have lived here all their lives miss. Maybe I should have asked immigrants in my old communities what they saw when they arrived, and maybe I could have learnt something about myself. You are interesting to other people. You stand out, in a good way. Small talk is easier because people want to know why you came here. This makes making friends great fun and people can be intrigued by your story. 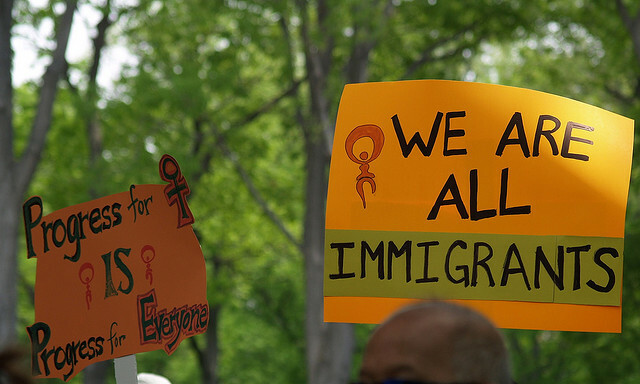 You also find a camaraderie with other immigrants even if you would normally have little in common with them. But our citizenship is in heaven. And we eagerly await a Saviour from there, the Lord Jesus Christ. It is ok to not feel at home here on earth because our deepest longing is for somewhere else. Whether you live in the same community for 80 years or move around every few months, the truth is that we are all just ‘passing though’. Don’t put too much emphasis on national identity, finances, housing, education, being popular or even being fruitful. God is calling us all home and we can daily keep our eyes fixed on him. So next time you bump into an immigrant in your community (or even an ex-pat) why not ask them what life is like for them living next door to you? What are the joys and what are the difficulties? What do they observe? And maybe give them an open door for practical assistance and advice and help them make the most of their time as your neighbour. I have a new addiction. 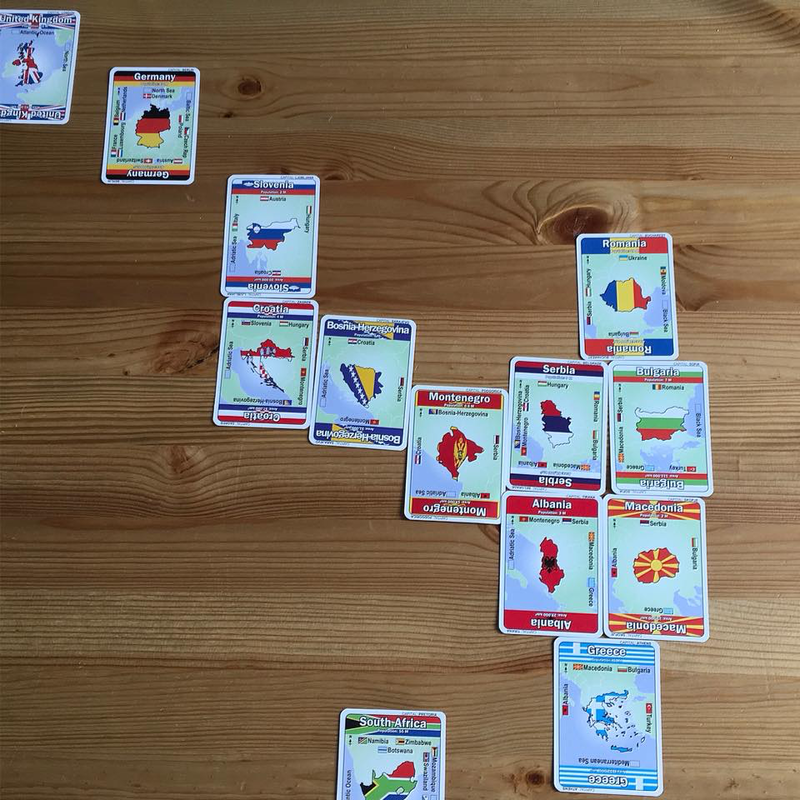 It is a card game called Mapominoes which combines two of life’s joys – geography and competition! Yes, it is completely geeky but it keeps me happy. Using a card game to pray for the nations! I have always been fascinated by maps and other countries. I would spend hours pouring over atlases and I can remember as a child trawling the exhibition stands at Christian conferences looking for information about missionary organisations and the different countries they were working in. The prayer tool Operation World was a big favourite of mine. Do you also love the whole concept of different nations, cultures, peoples? Built into humankind is the desire to explore and to know, surely a resonance with God’s eternal plan for his created people to spread out throughout the earth. This whole theme is intrinsic to our calling as a family and of the culture we desire to shape for our mission here in Munich. One of the reasons we were excited to move to Munich is that it is full of the nations – tens of thousands of people from the Balkans, Italy, Greece, Turkey, west and east Africa, the Middle East, the former Soviet nations…and many more. Yes, we want to plant a church in Germany that serves German people, but we also want it to be representative of the communities that are here in the city. And further to that, we are passionate to see our mission efforts overflow from Munich and effect other nations too. That is why two very important moments in our church planting venture so far were having visitors last summer from church leaders from Serbia and from Macedonia. This coming weekend Rada will be attending a Prophetic Missions Conference in Niš, Serbia. This is all about being blessed by brothers and sisters from other nations and about being a blessing to the nations. It is about laying a DNA for our church community in Munich that has a great love for other cultures and passion to serve other nations. We’re very excited to see what will happen this weekend and eagerly looking to the future and building a church that has Jesus’ commission to his church right at its heart! Therefore go and make disciples of all nations, baptising them in the name of the Father and of the Son and the Holy Spirit. The German word for embassy has the same meaning as the word for message – die Botschaft. (Of course the etymological path is similar in English, just not as obvious.) So ambassadors have a message to proclaim! This little linguistic nugget reminded me of Jason’s words. This is important to me because our phase of life and mission at the moment could at times be described as mundane, it is often hard work and not quite what I imagined ‘missionary life’ was like while I was growing up reading about Christians sent to far flung corners of the globe. For us, this means the kids getting out the house before 7am for school, continuing to struggle through German language, challenging employment, periods of isolation. However, on those dark mornings and weary evenings it is important for us to remember that we are ambassadors for Christ! This means our mission is of the highest purpose and our equipper is of the highest calibre. Like Q is always giving James Bond gadgets that come in handy at just the right moment, God has many good gifts for us to help us achieve the mission. Sometimes that might include an Aston Martin, but even when your car is not what you might want, the spiritual gifts that God gives us are vital and should not be taken for granted or neglected. The calling goes for all Christians everywhere! When life feels tough, boring, discouraging, painful, hopeless etc. etc. then we remember on whose behalf we are living and for what purpose….we are God’s ambassadors, sent by the Spirit, to proclaim Christ! 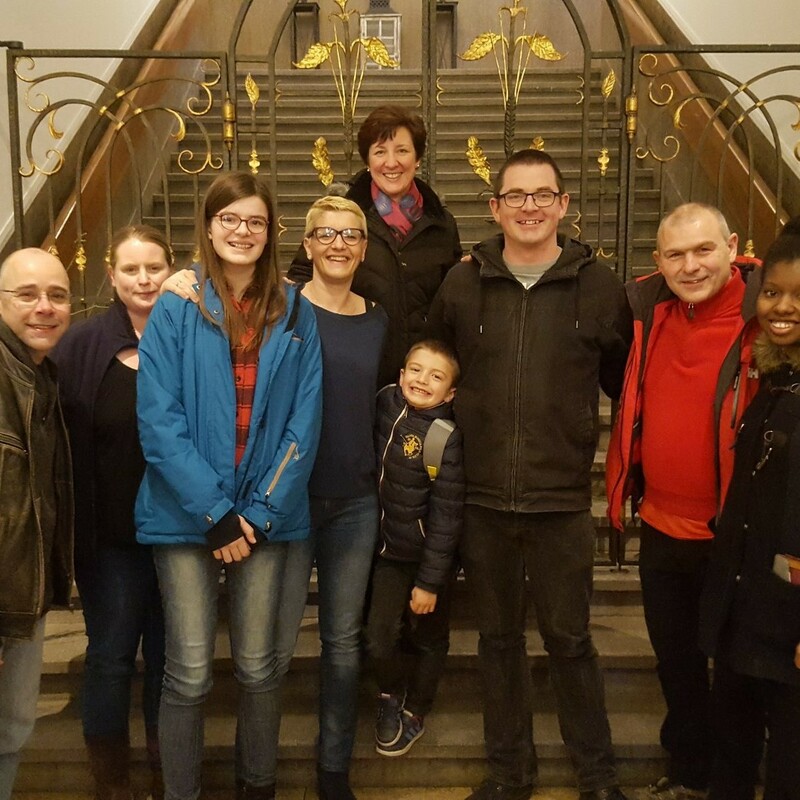 The latest UK mission team came to help us in January. Next one due out in April. 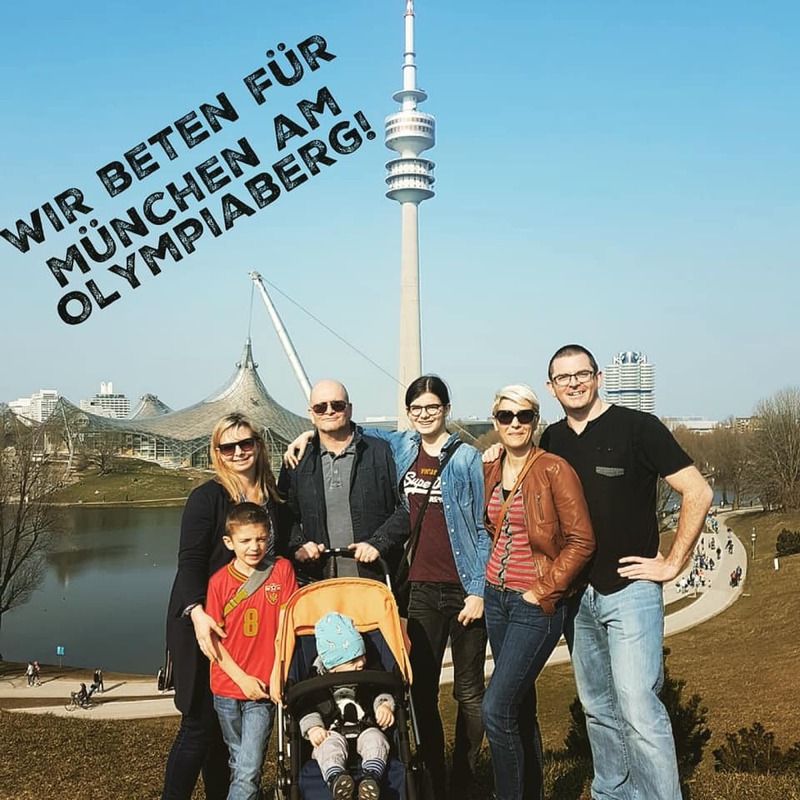 There is one member of our church planting team who has been part of the dream before we even considered Munich to be a potential location to plant. This member of the team as experienced all the celebrations and all the tears. She has counted the cost in her own life, borne the risk and jumped with us when we took the plunge. 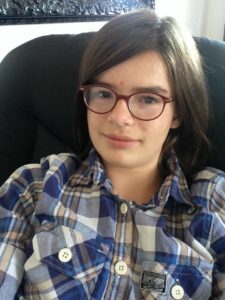 We wanted to use this blog space to honour our 14 year old daughter and the part she is playing in this church planting adventure. You cannot overestimate the courage, tenacity and determination that Anya has displayed over the years in getting to this point where we are now living in Munich and actively planting a church. We were resolved that Anya would be an active part of the decision making process in this big life decision, but this doesn’t mean that all Anya had to do was simply jump on board with all the excitement. Anya had to make some big sacrifices, not least leaving precious things behind; one of the most wonderful schools imaginable, some very close friends and the horses at the stables where she had been helping out and getting riding lessons. 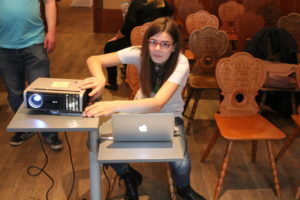 Anya is an intrinsic part of church life here and seems to have the gift of service etched deep within her. We have held fortnightly services in our home for the last year and anyone who has attended church for any amount of time will know what a challenge getting ready for church on a Sunday morning can be. Yet in the tiredness and busyness of a Sunday morning it will be Anya who is vacuuming and dusting at 8:00am, helping helping prepare the church breakfast and then welcoming new guests with her friendly conversation. Anya is a star. She is so much fun, insanely intelligent, utterly unique and resilient beyond her years. We are privileged to journey with her – our daughter and co-worker in Christ. 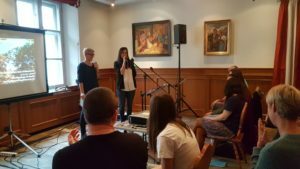 God Loves Munich – first event! On Sunday 29th October we hosted our first public event as a church plant. As we are a small team we needed to enlist a lot of help from friends [*credits below] but it was a great feeling to make a positive statement about who we are, what we believe, and what we are dreaming of. 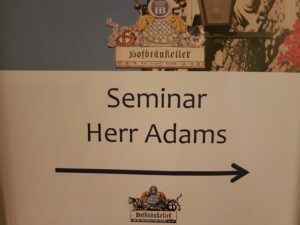 We hired a room above one of Munich’s most iconic beerkellers hoping to make the statement that though we are an international team we desire to plant a German church! So the location was stunning and we did our best to put together a programme that pointed to God and communicated about his heart for the city of Munich and the nations. We were enormously blessed by a team of 8 wonderful individuals from Trinity Church London. For 48 hours before our event hey prayed, they prophesied, they walked the streets, they sat in cafes, they encouraged, they connected with people – anything to build the kingdom of God. Thank you! Quite simply, the amount of people who came to help us and support us was the most encouraging thing that could have happened to us. Of the 35 people who attended, 26 were there because they were helping or providing moral support. Thank you so much to each one of you. The other 9 people were also wonderfully encouraging, and the reason that we are here in Munich. They were diverse in nationality (Malaysian, American, Montenegrin, German, Russian) and all there for different reasons. Our sincere and deep prayer is that we can remain in contact with them and support them on their discipleship journey. We hope this event will be regular but it certainly won’t be frequent. The nitty gritty of what we do as a church planting team is meeting with people individually, informally and semi-formally. We really believe that the work of discipleship in this post-christian era is achieved through spending quality time with people, not through getting people to attend church meetings. With this in most of our activities for the rest of this academic year will all take place in cafes, bars, work places and round dining tables. Nevertheless, we are planning similar events in January, April and July. Please do consider coming out to help us with these. We are especially low on numbers supporting us for the January mission weekend (11-14th). 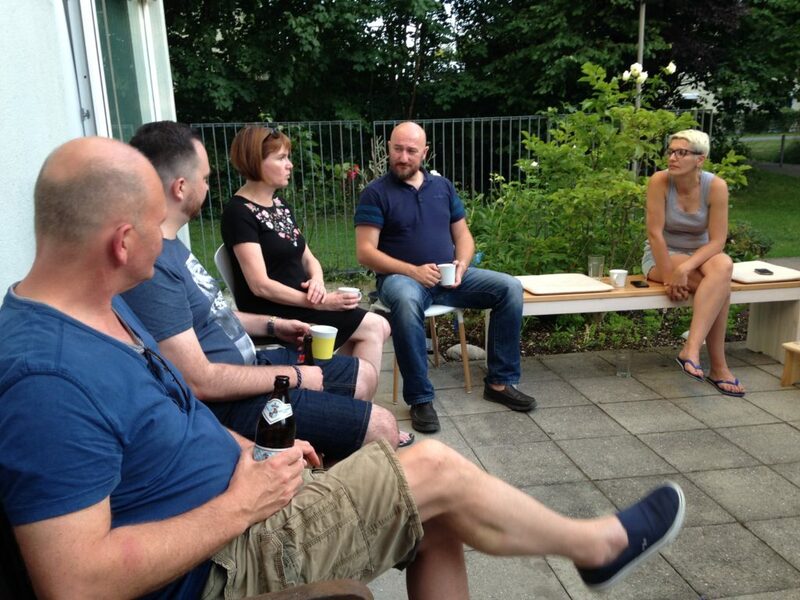 ….and of course the Gateway Church Munich team! 13 months after arrival in Munich we have achieved a significant amount in terms of establishing family life and we have placed a fairly ‘under the radar’ flag in the ground that we are here to plant a church in Munich. As church planters you are always wanting to promote what you are doing because, quite simply, you need people. Yet at the same time you don’t want to be pretending that you are something you are not. Doing too much publicity too early can be more damaging than not doing enough publicity later on. Worst of all, you can be putting yourselves under piles of pressure! Nevertheless, we feel the time is ripe to take our church planting venture to the next stage. We have a name, a website and a trio of social media platforms. Please do take a look, like, follow, write a message, tweet, share etc. etc. Also, we need something tangible to be able to point new Munich contacts to. We now have points of reference that we can share with new people we meet to give them the option to follow-up with us if they wish, meaning people can find out about our meetings, values and events. 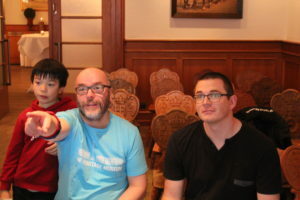 Finally, a large and worthy shout out to our web designer/builders intheflock.com. These guys have been incredibly generous, helpful and professional. They have served us, been patient with us and shared their skills and passion to enable Gateway Church München to have a website that we believe is just perfect for the stage of church planting we are at. Thank you sincerely! Which famous figure said this about the capital of France…? Fantastic bike ride through Paris. I cannot say this enough: to truly appreciate a city, get on a bike. Answer at the bottom of the post! Learning about local culture. If you were to move to a new city and you enjoy riding your bike then there are few things I’d recommend more than signing up to work with a restaurant delivery company like Deliveroo or Foodora*. You see all parts of the city centre from 11am until midnight and are absorbing all the details of how people interact and how the city works. It keeps you fit. I have only been running once since I started the job, yet I am the lightest (and presumably fittest) I have been for years. You learn to appreciate tipping. I have always been a fan of tipping service staff but now I am an all out champion for being generous with your change. I know industries could do away with tipping by paying decent wages in the first place but nevertheless there are few better feelings than climbing to the top of five flights of stairs, wet and cold, handing over a bag of fast food and then receiving a smile and a few euros. By the way, I wouldn’t want to start an argument but in my experience men are twice as likely to tip as women and sushi eaters hardly ever tip! Beautiful Sights. I guess some cities are better than others but Munich is a stunning city to cycle around. The river, the architecture, the bridges, the churches, the streets, the unique skyline. One favourite of mine is riding across the mostly deserted festival ground for Oktoberfest when it is out of season. No boss and no employees. My boss is a smartphone app that never gets annoyed with me and I am responsible for nobody. Spending part of your life outside. One of the worst things about the world of work is that you are likely to spend most of your time either in the office or in the car. With this job you are outside, seeing the sunsets, feeling the sun, the wind and the rain. Even though you are in the middle of a big city you feel connected with creation. It keeps you humble. Riding around in pink uniform or, worse, falling off your bike whilst wearing pink, certainly help one to keep an appropriate opinion of oneself. People watching. What better way to maximise your people watching than to ride around on a bike? You see hundreds of people everyday and every shift there are multiple fascinating things to see….people getting arrested, nudists, surfers, musicians, beer sozzled tourists, road ragers….and the list goes on. Below is a video of a guy I found surfing on the river during the recent high water levels. It gives you a passion for the city. As a church planter the passion you feel for your mission field is really important and cannot be stirred up on demand. It is a great privilege to spend a chunk of time in the city, seeing the people and everyday life and dreaming of what God will do. *Other food delivery services are available!